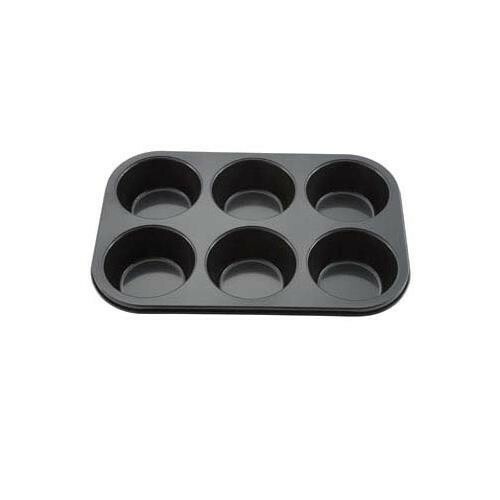 Make muffins of a hearty size with this muffin pan. Â The pan has 6 cups that will produce 7oz. muffins with 3.5" in diameter! Made of aluminum this pan is non-stick and easy to clean!